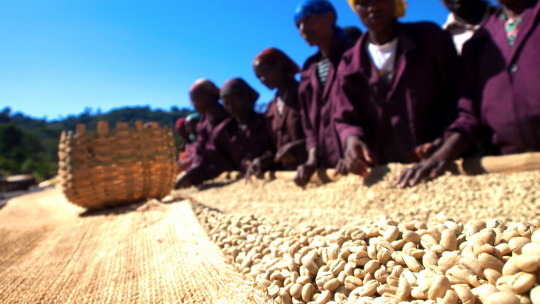 The Kochere district is a few kilometers south of the legendary coffee town of Yirgacheffe in the Gedeo Zone. Coffees from this region are among the finest on earth. Kochere grows under a semi-forested shade canopy at the peak altitude for Yirgacheffe’s coffee production. The farmers in this region cultivate their Ethiopian heirloom varietals without the use of chemical fertilizers – in fact, nearly all coffee in Ethiopia is default organic regardless of having certification. Pristine growing methods combined with precise processing makes coffee from this region world renown.